As winter slowly wanes, some mornings I need a little extra sustenance. Today was one of those days. 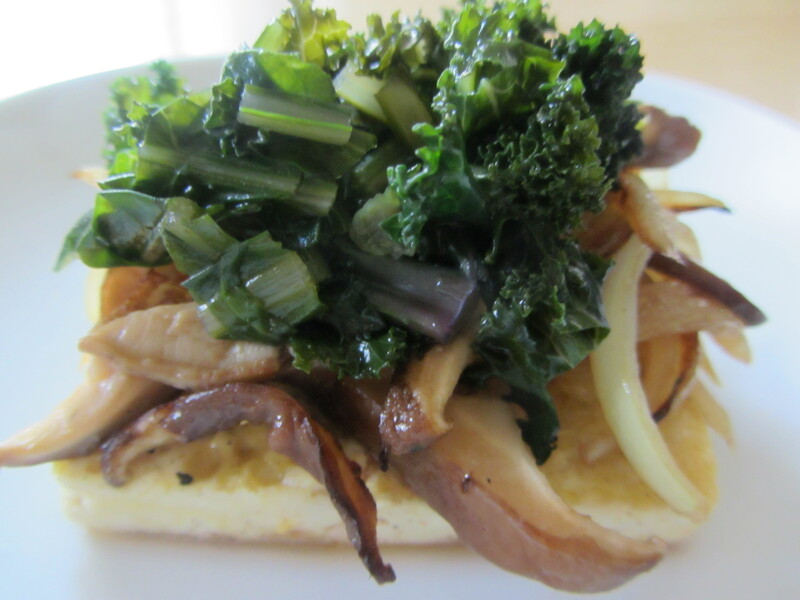 I fried some tofu, sautéed some onions and mushrooms, and topped it off with leftovers from Tuesday’s breakfast of kale and dandelion greens. Satisfying. Sustaining. 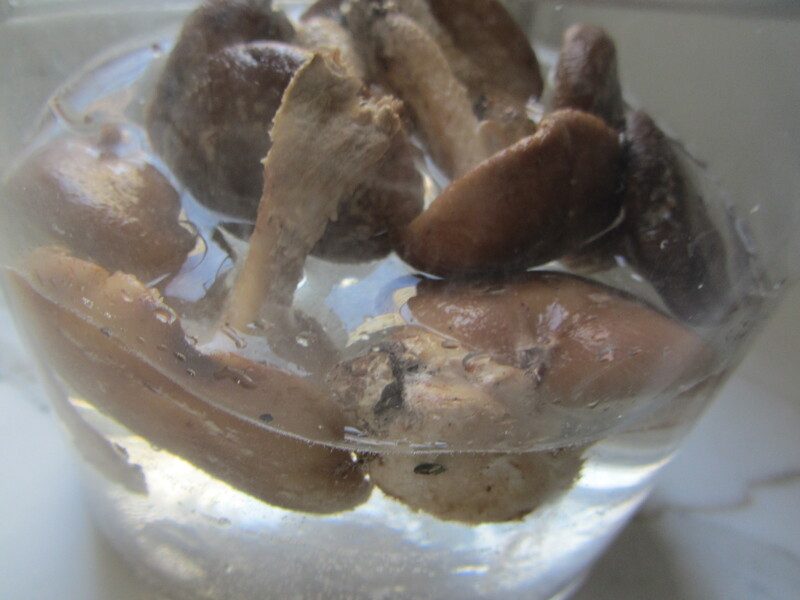 Process Wash the shitake mushrooms by immersing them in water. Remove the stems. 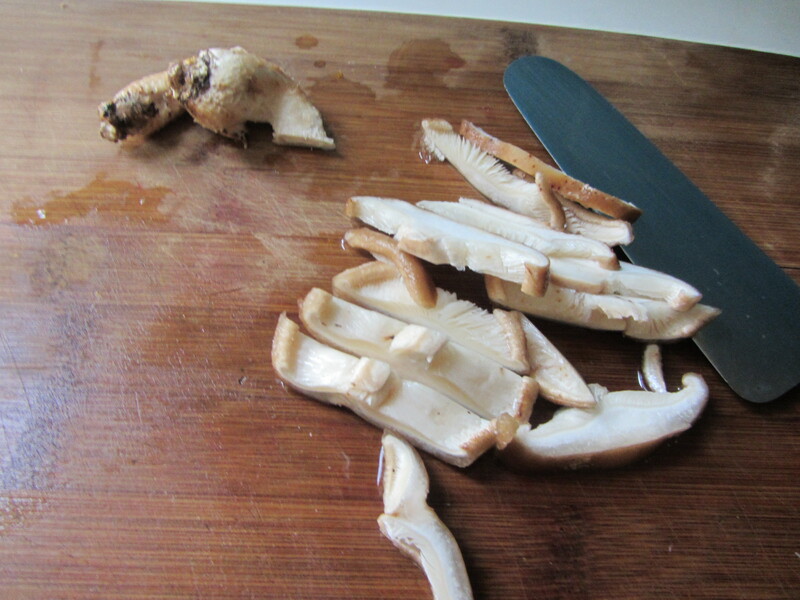 Slice the caps into thin strips, about 7 per cap. Set aside. Cut the onion in half, lengthwise. 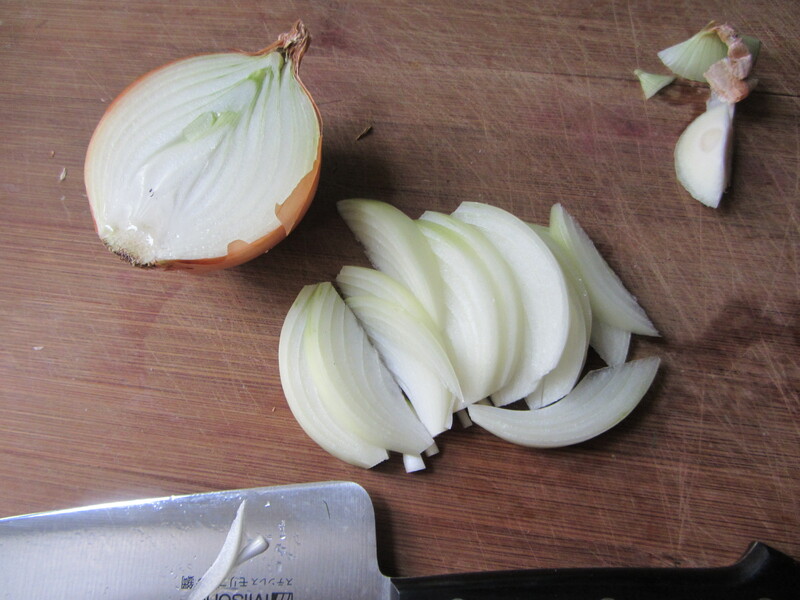 Place the flat sides of the onion halves on the cutting board. Slice into them on an angle, cutting thin half moons. Heat a cast iron or stainless steel skillet on a medium flame for about 30 seconds. Add the olive oil and allow it to get warm for another 20 seconds. Add the onions. 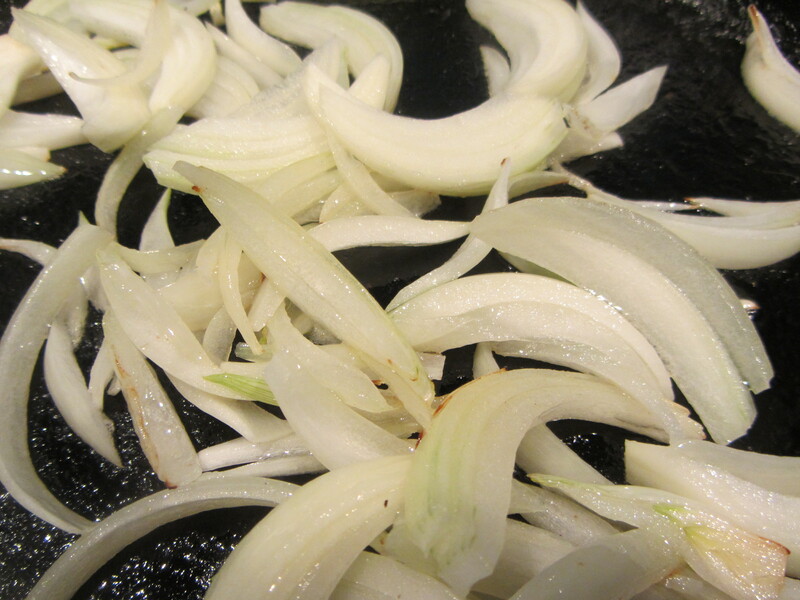 Use cooking chopsticks to sauté the onions until they begin to wilt and sweat. At this point, add the sea salt and the sliced shitake mushrooms. 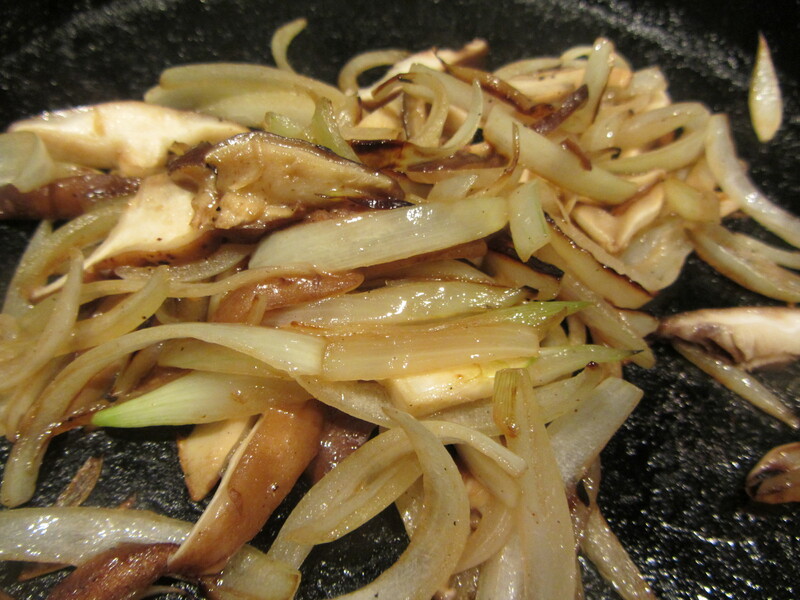 Cook the mushrooms and onions together on a medium to low flame, allowing the flavors and textures to merge. and continue to brown them in the skillet. 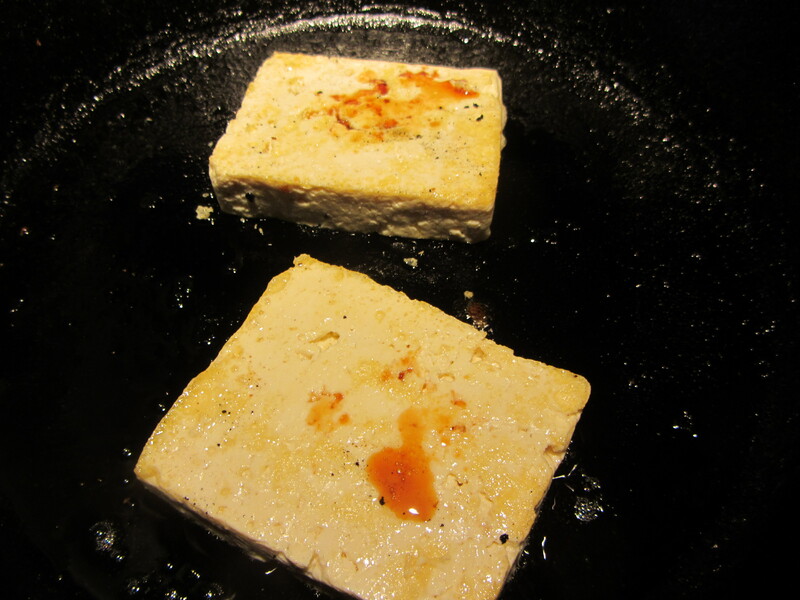 When browned, remove with a spatula and place on a plate. Top with the mushrooms and onions mixture. 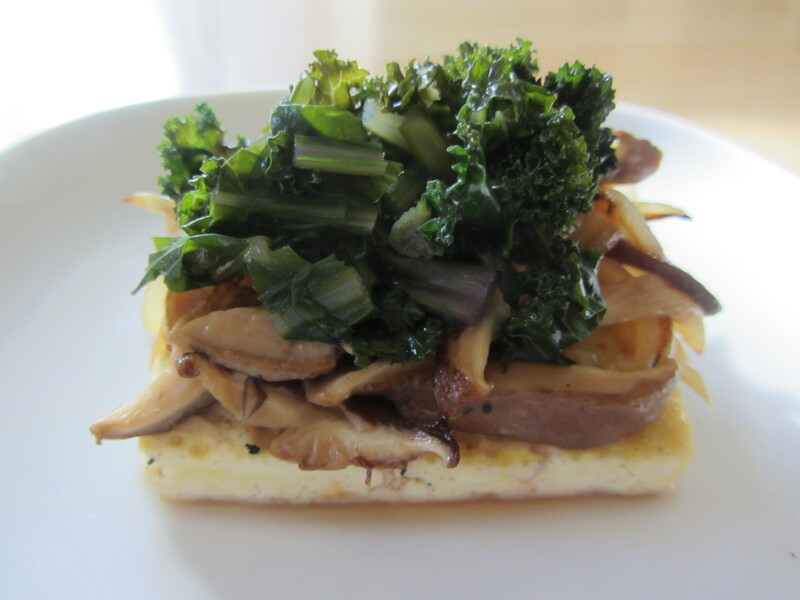 Add kale and dandelion leftover from the dish posted earlier this week.